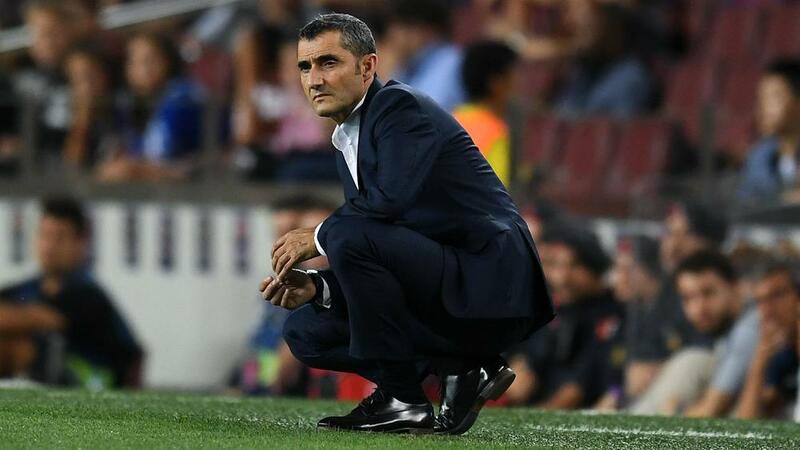 Barcelona head coach Ernesto Valverde was delighted to leave Levante with an emphatic 5-0 win given his side's travails in the same game last season. Lionel Messi scored a hat-trick and assisted goals for Luis Suarez and Gerard Pique as LaLiga's leaders restored their three-point cushion at the top on Sunday. "I'm happy because we conceded five here last year and that was after a whole season without losing, and it was only a few months ago," he told a news conference. "They're having a great season and they showed that when they came out against us. I'm leaving here particularly satisfied." Messi's display left Valverde struggling to find the right words, the 31-year-old having become the first player in Europe's top-five leagues this season to reach double figures for goals and assists. "I don't know how to qualify him. I don't know how to answer the most repeated question," he said. "He's the one who makes us play, who gives us amazing goals ... we just have to enjoy him." Barca had looked a little uncertain before Suarez's opener 35 minutes in, with Valverde forced to reshuffle his side into a makeshift 3-5-2 after Nelson Semedo was ruled out with injury at the last minute. "The line-up was conditioned by Semedo," he admitted. "It was a solution that was determined by injuries. "We thought Nelson was going to play. They are used to a quick counter-attack and we had to control those situations. It cost us in the middle of the pitch, but in the second half we had total control."